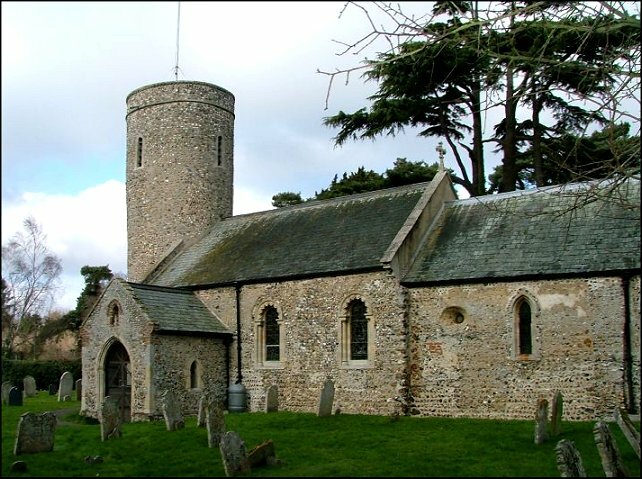 The area to the south and south-east of Norwich is the heartland of round-towered churches. There are about seventy in this section of the county, even more if you include those over the Suffolk border. 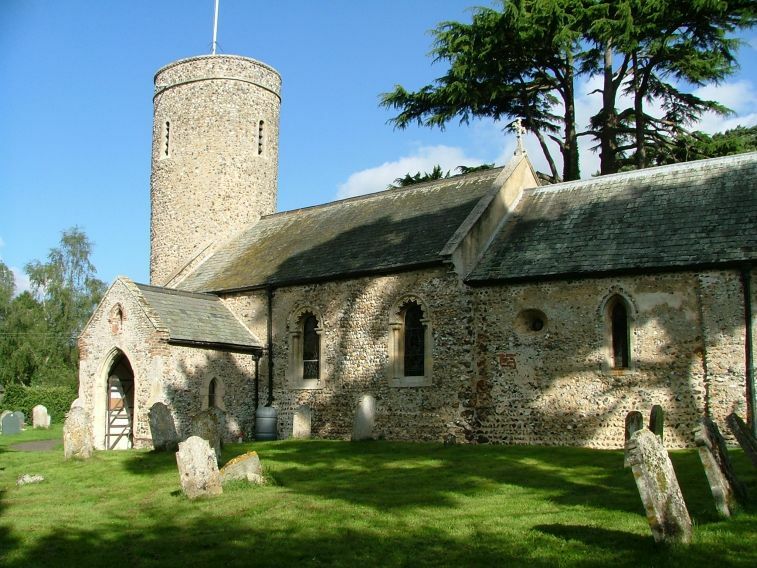 And South-east Norfolk has more open churches than just about any other part of East Anglia. Hundreds and hundreds of them, and they are open all day, every day. They are beacons of witness, beacons of light. I don't want to claim to speak on behalf of God, but I can't help thinking that this is exactly what He would have intended. Unfortunately, and I'm sure that you can hear this thundering towards you, there is a hole of darkness, right in the middle. It's called the Poringland benefice. 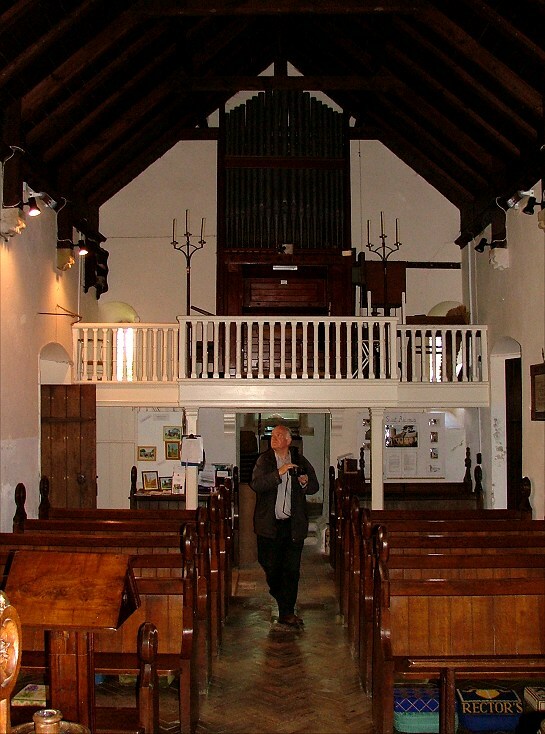 When I first wrote the entry for this church back in March 2006, I thanked God for the churches of south-east Norfolk, but also thanked Him that the Poringland group was responsible for only four of them; unfortunately, these include Framingham Earl. 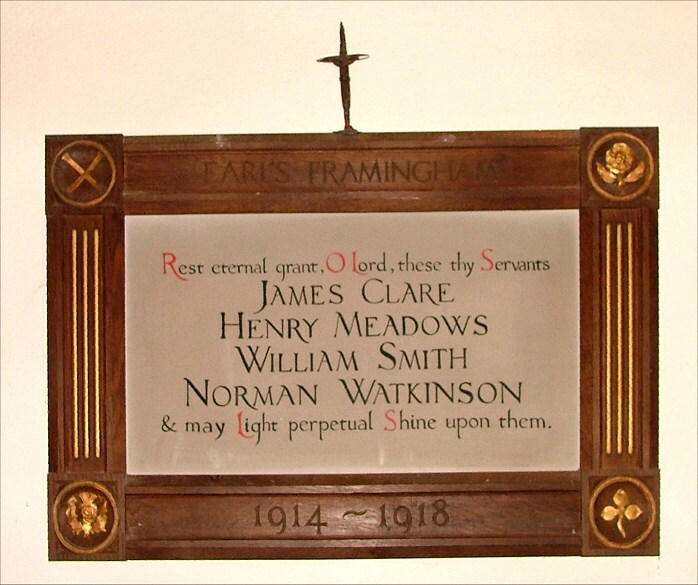 So, while I found nearby Framingham Pigot welcoming and obviously loved and frisking like a young colt in open fields, thanks to being in the friendly Bramerton group of parishes, Framingham Earl was locked against all comers, be they strangers or pilgrims. 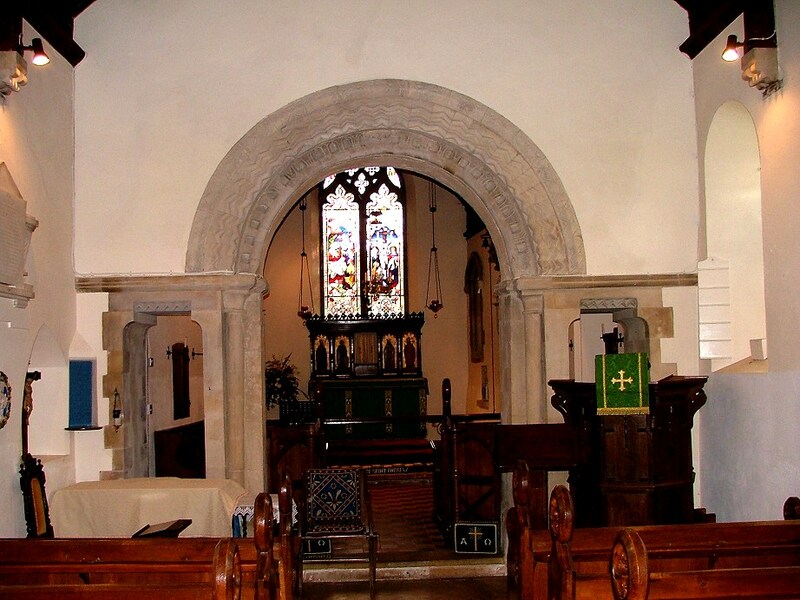 This is despite the presence of plenty of houses which might act as guardians of a key, if not of an open church. When I first visited, I found that even the porch was locked, which I am afraid I thought was a particularly mean-spirited thing. 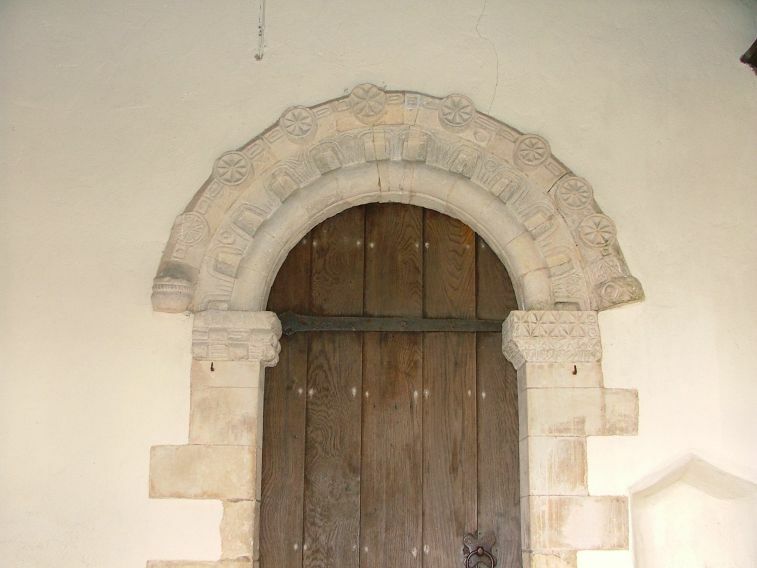 As I peeked through the bars at the ornate Norman doorway, I spotted a large notice which claimed that the church is open for an hour on a Saturday (it wasn't when we turned up) and that you should ring 999 in emergencies. It also says The inconvenience caused by the locked door is much regretted. Not as much as it is by the rest of us, mate. So, unless you have run the Rector to ground, or had the good fortune to roll up at a time whe the building is open, the outside will be all that you see. 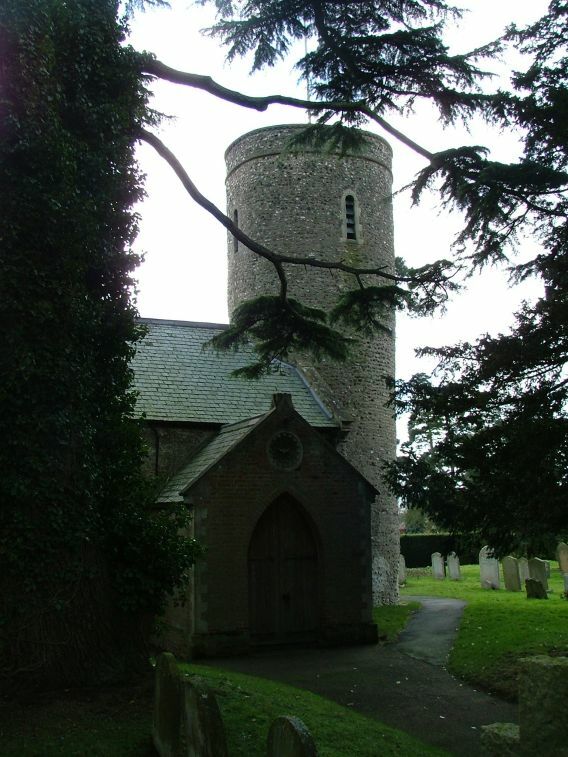 The round tower is probably late Norman, just verging on the edge of Early English, and this reflects the date of the nave. 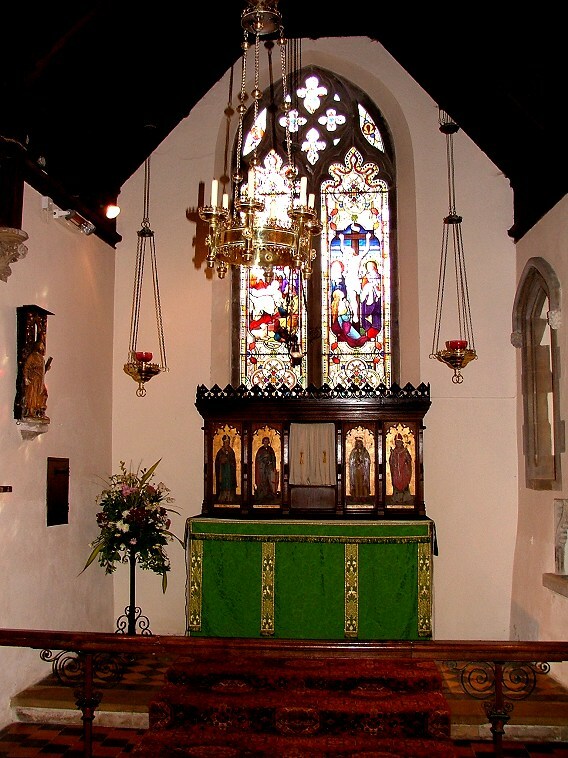 The chancel, however, is a rare earlier survival, a Saxon church which had an apse until those 13th century vandals flattened it off and put an Early English window in. 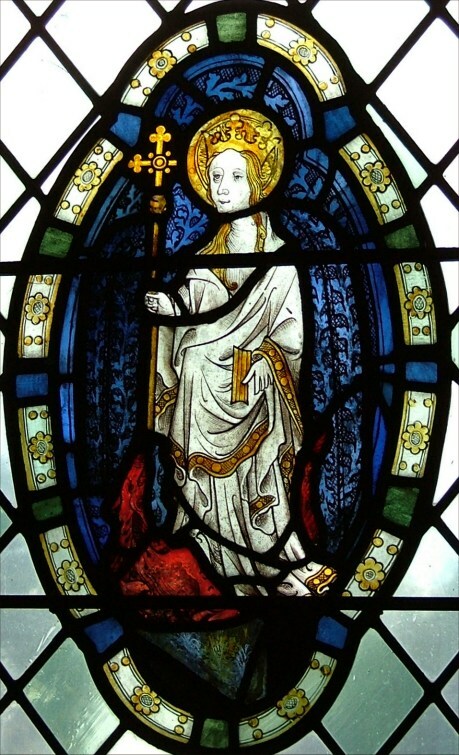 St Andrew has two famous pieces of medieval glass, elongated roundels depicting St Margaret and St Catherine. 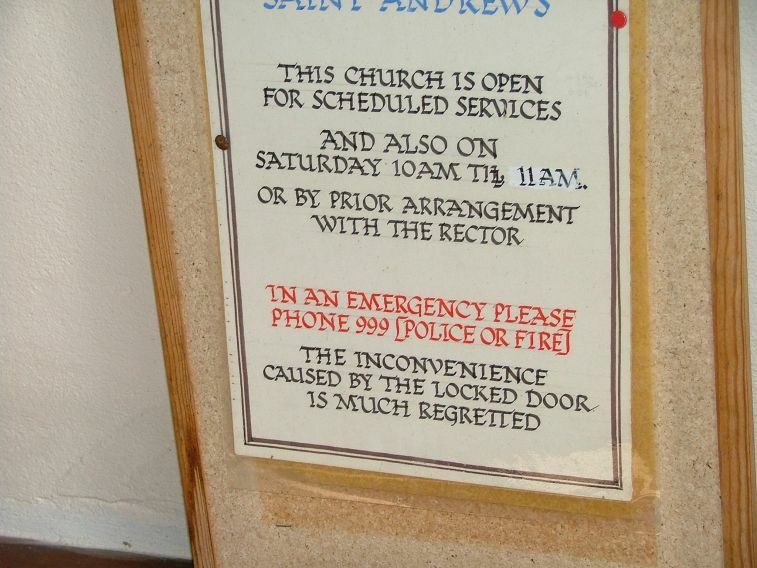 Ironically (although I don't know why I say that, because it is so often the case with churches like this) St Andrew does not have stone guards on its windows, and so its greatest treasures are as equally vulnerable to vandalism as if the church was open twenty-four hours a day. 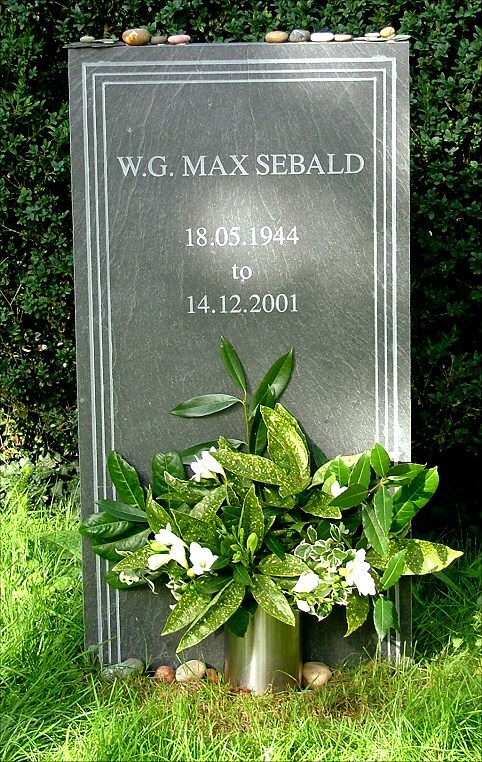 Literary-minded followers of this site (and I know there are many) will be interested to know that the grave of genius WG Sebald, killed so tragically young in a car crash, is just to the north of the chancel - it is obviously a site of pilgrimage, and rightly so. You can see his headstone at the bottom of this page. Peter and I came back this way on Historic Churches bike ride day 2006, and I have to say that the people on duty could not have been nicer. They were the very essence of kindness itself, and so they were probably either Saints, or they simply didn't recognise me. They even helped me clear up the mess when I accidentally overbalanced the shelf with the leaflets on at the back of the church. I don't mind admitting that I felt a little guilty for the things I'd written. And so I must tell you that this is a lovely, fascinating church inside. 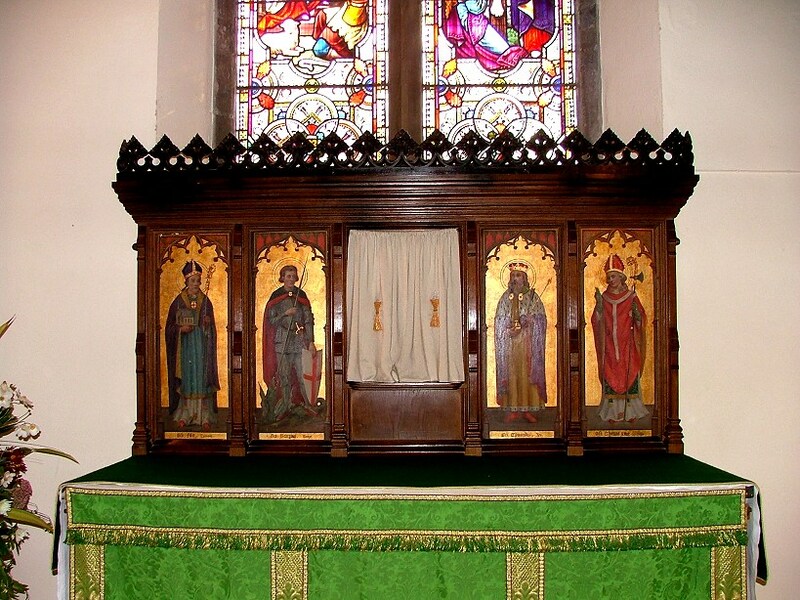 The Norman chancel arch is over-restored, but there is a super gallery at the west end, and a glamorous late 19th century Anglo-catholic reredos with curtains where the tabernacle used to be. 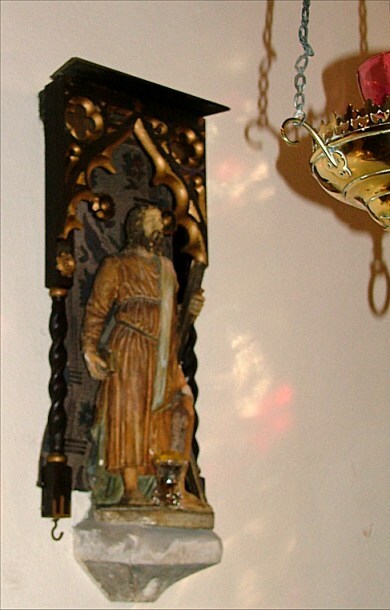 Faith, Hope and Charity look on in the sanctuary. 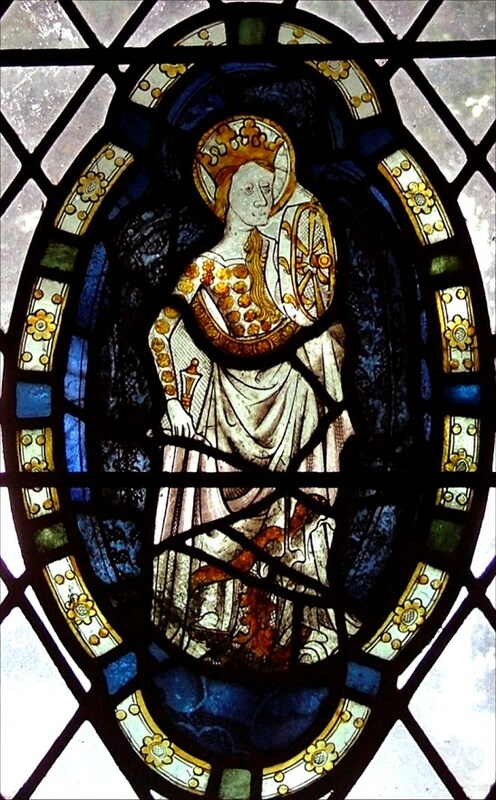 The 15th century figures of St Catherine (south side of the nave) and St Margaret (west window in the tower) are superb; how much of the surrounding glass that they are set in is also medieval? I suspect it may be the 20th century work of the Kings. Nevertheless, they are absolutely beautiful, and well worth seeking out. If only this parish would make itself friendly to strangers and pilgrims!